There are so many things to remember when trying to write a successful blog post. 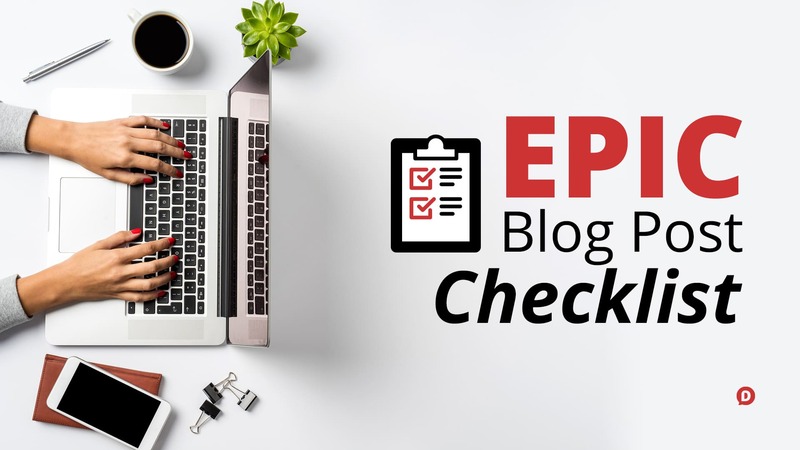 Don’t you wish there was a simple blog post checklist to help you make sure you don’t leave anything out? Well, my friends, I’ve created this article just for you. In case you didn’t know this about me, I am a massive advocate of blogging. Why? Because I think it can be absolutely life-changing if taken seriously. Now, I’m not talking about blogging about random daily events in our lives (which is actually how blogging started). What I’m talking about is using a blog as a marketing tool to build your brand. I see a lot of bloggers out there who could be leveraging their blog so much better than they currently are. And the only reason I know this is because I have worked for years, banging my head against a wall trying to figure out why my blog wasn’t taking off. It turns out that just like a great recipe, a great blog post needs the right ingredients to be truly remarkable. So I’m writing this for you–the blogger who knows they want to create amazing content but just needs help learning the recipe. Ok, Dustin, I’m ready for the checklist. Where do I start? Before you do anything, please remember that this checklist is for those who understand why blogging is a powerful marketing tool. You need immense discipline to make sure that your content is interesting, engaging, and of the highest quality. You will be putting a lot of effort in order for this to work. But trust me, the results will speak for themselves! Bonus: Are you in a hurry? 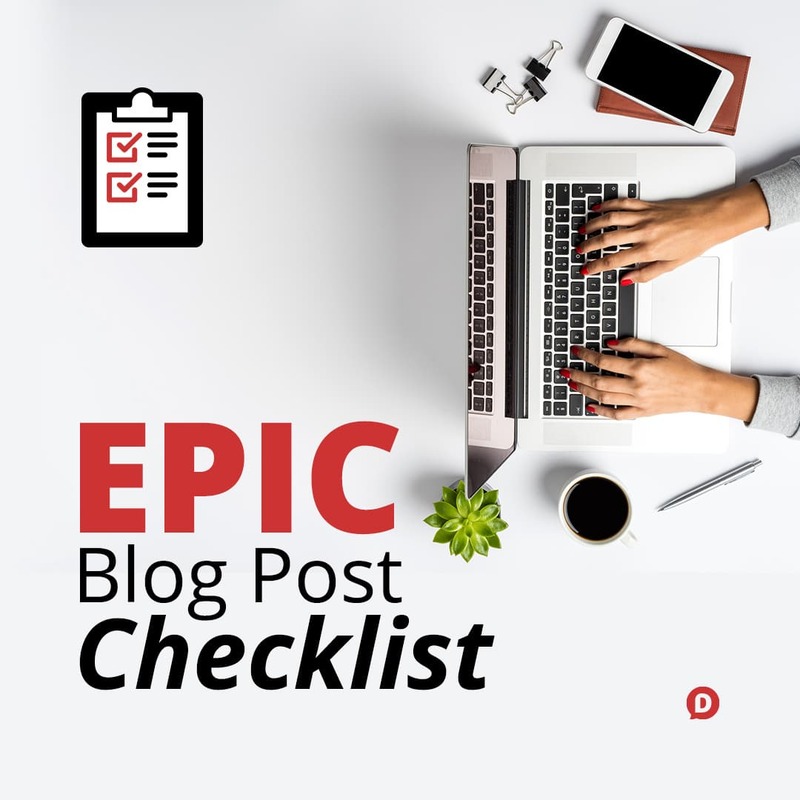 Just grab my printable Epic Blog Post Checklist right now! By the way, if you haven’t read it yet, I actually published a guide on how to write a blog post. It’s my documentation of the process I go through every time I publish something, and this checklist I’m giving you here is the same one I use. Ok, on to the checklist! Does your blog post have a minimum of 2,000 words? Look, I wish we still lived in the days where 300-500 word blog posts were a thing that worked. But they just don’t anymore. With the sheer volume of content being produced these days (and it is staggering how much is being produced), short and sweet articles just aren’t cutting it anymore. Don’t believe me? There are three reasons why your blog posts need to be at least 2,000 words long. And two of these reasons have enough data behind them that I almost don’t need a third. Think about this for a second– What is Google’s job? Is it to give people the answer they’re looking for? Is it to find people the best websites? Google’s job is to find the best answer for someone’s question (or query). And how does Google differentiate between the first best and the tenth best answer? Well, that’s a question that only Google’s magical engineers could definitively answer. My response to them is, yes, you’re right. Most people don’t like long articles. But Google does. And Google sends me more traffic than most people do. Longer articles mean you have more opportunity to answer a person’s questions in high detail. It also means you have lots of room to add the right keywords and keyword variants to give your article all the ammunition it needs to blow Google’s digital socks off. Here’s another one that’s a bit of a mind-boggler. Yes, we live in an age where attention span is at its lowest. 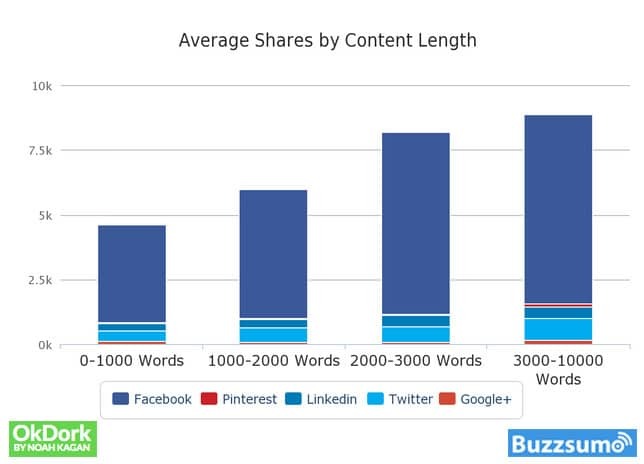 But the data shows that longer content tends to get more shares. My guess is that it has something to do with the fact that people want to share things that make them look good–things that make them look smart. And guess what–long articles seem smarter than short ones. I know you wanna be all Seth Godin and write quick words of wisdom that drop people’s jaws in 10 seconds flat. But until you’ve got Seth Godin’s celebrity status, shoot for long-form, in-depth articles that are 2,000 words or more. People may not read the entire thing. They may skim right through it only reading your headings. But they’ll see how in-depth the article is, and be compelled to share it. An evergreen article is a piece that can withstand the test of time. It will be as relevant two years from now as it is today. In a blog post, I’ve written about the benefits of writing evergreen content, I mentioned that I raised my traffic by 41% with just 5 blog posts. It may be more work up front, but it means less work in the long run. Do you have at least three internal links on your blog post? 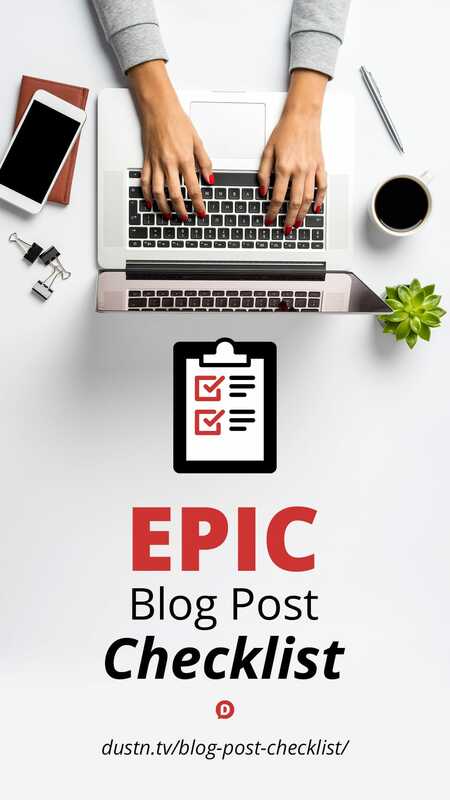 An epic blog post must link to other epic blog posts on your site. In SEO speak, internal linking is one of the best things you can do to leverage your blog. By doing this, it is believed that the higher ranking page will “share” a bit of its authority with the other page, giving it a slight boost. Linking to your other posts can also prolong your audience’s stay on your website. Keeping them on your site longer can build greater trust and increase their likelihood of recommending your or converting into a subscriber. And session time is also one of the more important things that search engines look for when it ranks websites. A longer session time indicates that the reader is getting value, and if they’re getting value, that means Google did its job in sending them there. That’s a win-win. Do you have at least three external links on your blog post? Epic blog posts must reference other authoritative content from other websites. Search engines like it when sites link to other websites. It helps them determine how to better rank those linked pages. And they put more value to those who do it in a natural manner. Whenever you link to other websites, you give search engines the idea that you are contributing to the circulation of websites all around the world. But if you’re doing it in a legitimate way, you’re also adding value to the user experience because those links should be giving additional context to things you don’t necessarily cover in your article. Be careful though to avoid linking to external pages that have the same target keyword as you. This may signal to search engines that the article you’re linking to is more authoritative, and therefore ranks higher, than your article. Do you have at least two click-to-tweets on your post for better sharing purposes? And when they see something useful, witty, funny, or interesting they want to share it with their followers. That’s where this tool comes in. Click-to-tweets are one of the best things you can add to your posts in order to make it more shareable. By utilizing this tool, your audience can easily share a quotable part from your article with just a couple of clicks. The easiest way to add these tweetable quotes (or Click-to-tweet quotes) to your website is to use a plugin like Social Warfare. It is a plugin I co-founded and makes it super easy to add these Click-to-tweet quotes within y our blog post. Social Warfare also does a lot of other things as well that help you to get your content shared more, so definitely give it a look. Do you have at least five SEO-optimized images and a gif? Images break up your blog post so that it’s not just one giant wall of text. Images help to convey ideas in a manner that is more engaging to those readers who may be more visual. Also, images can be further optimized for SEO purposes. However, reducing file size for better loading times, proper alt tags and title tags must be done in order to fully enjoy the benefits of having an image in your post. More information can be found in my guide on how to create optimized images. GIFs are those moving images that are super trendy on social media. And, personally, I love me a good GIF. They just allow you to communicate so much more than a static image. GIFs are fun, interesting, and are highly shareable on social media, and therefore they are a big win for your article’s sharability. Do you have at least one “hidden” Pinterest-optimized image on your site? Pinterest is a social bookmarking site that can help your blog massively increase its exposure and traffic. But the key is to properly optimize your blog post for maximum pinnability. If you are not doing this properly or if you are not doing it at all, then you are definitely missing out on a lot of potential traffic. If you want to know the in-depth details, read my Pinterest Guide for Bloggers. 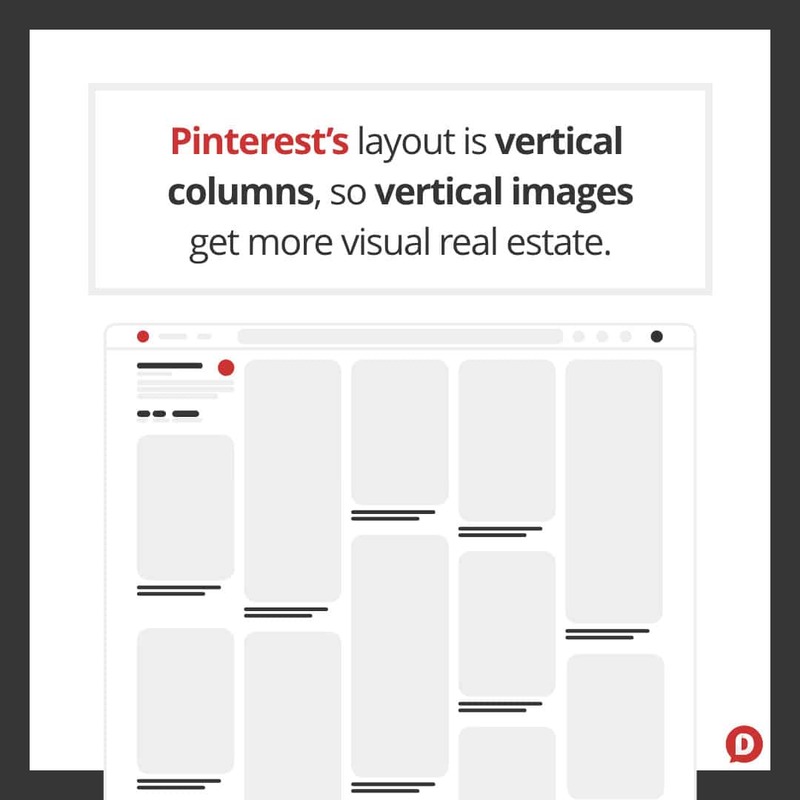 The short version is this: Create a tall image (735px wide by 1102px tall) for every single blog post that people can save to Pinterest. Wait, Dustin. I am using Pinterest and am putting Pinterest optimized images in my post. But my audience doesn’t seem to pin it. What gives? That is where Social Warfare, the plugin I told you about in point 4, comes in again! One other feature that the plugin can do for your soon-to-be epic blog posts is to make sure your readers are pinning the right image. When they click on the “Pin” button, instead of getting an option to pin any image on the page, they get the one Pinterest Optimized Image that you’ve chosen for them to pin. And it also lets you write the description for them, giving your readers even less work to do when sharing your articles. On top of that, Social Warfare makes it so you can actually hide the tall image from the page if you want. Because let’s face it, giant images just don’t look great in a blog post. You can create images that are Pinterest-worthy dimensions and just add it to the Social Warfare Custom Options in your blog post. 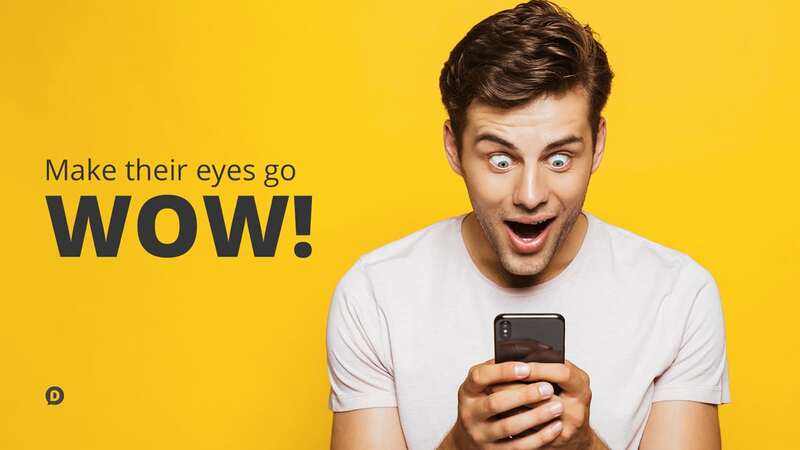 Are you sure that your headlines are grabbing your reader’s attention? An epic blog post needs an epic headline. That much is a no-brainer. Headlines are super important since they make sure that you send out a strong message to your audience about your post using the first words they will ever read on it. And I do this by using CoSchedule. CoSchedule has a tool called Headline Analyzer that scores your headline according to how attention-grabbing it is. 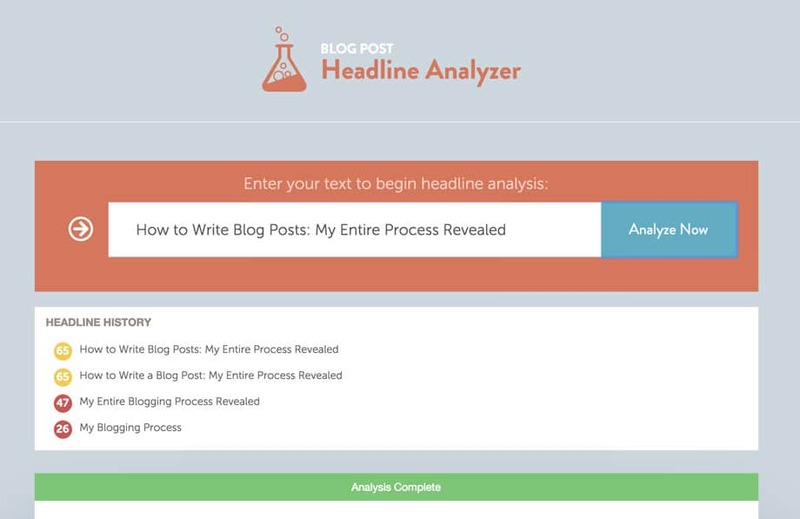 You can use their free Headline Analyzer or if you are a CoSchedule user, it’s built right into their WordPress integration. Just type in your headline and it will pop out a score. Keep working at it using their suggestions until you get a score that is “green”. Success at blogging starts on your headline, and CoSchedule can be a powerful tool that can decide a make or break point in your article. Do you have a Content Upgrade on your post? Ah, Content Upgrades. Did you know that by utilizing this, I was able to grow my subscriber rate to over 4,000 per month? Yes! And you can definitely do it too! Content Upgrades are basically a Lead Magnet that is specific to the post you are doing. You put a Call-to-Action on your post saying that your reader can learn more or get fantastic bonuses related to the topic of your article by subscribing to your site. You can then reward those who subscribed right then and there with something they can only get if they used that specific Content Upgrade. An example of this can be seen in my article The Ultimate Guide to Branding Yourself on Social Media. I included a downloadable quick-reference checklist for things I discussed there. A lot of experts already know the power of this. They are utilizing this tactic for their clients and their own businesses, growing their subscriber list like crazy. Once your blog is published, are you looking at other possible link opportunities using old blog posts? Well, it still applies even after you have published your post. Go back to your old blog posts and relevant links to your new article. It might take you 5-10 minutes at first, but once you make this a habit, you’ll get better and faster because your brain will more easily remember key articles that are great link opportunities. Have you promoted your blog post on all possible social media channels? After publishing your masterpiece of a blog post, it won’t make it big by itself immediately. You need to do the first move to make it epic. And that is where social media networks come in. Social media is an extremely powerful tool in getting your content discovered. It has been the single most important way I’ve found my audience to date. That won’t work. People are bombarded by headlines all day and are completely blind to the words “check this out”nowadays. You also don’t want to just share it out once, right after you hit “Publish” and be done with it. That won’t be very effective. People are on social media at different times throughout the day, and you never know what percentage of your audience will see that one social post at that exact time you share it. Instead, create several interesting social media messages to promote your new article, and do it over the course of at least 30 days. Whoa, Dustin! Who in their right mind has that kind of time?! Oh, trust me… I know. And that’s why I’ve even created a template for you to help you create a month’s worth of social media messages in 5min or less. 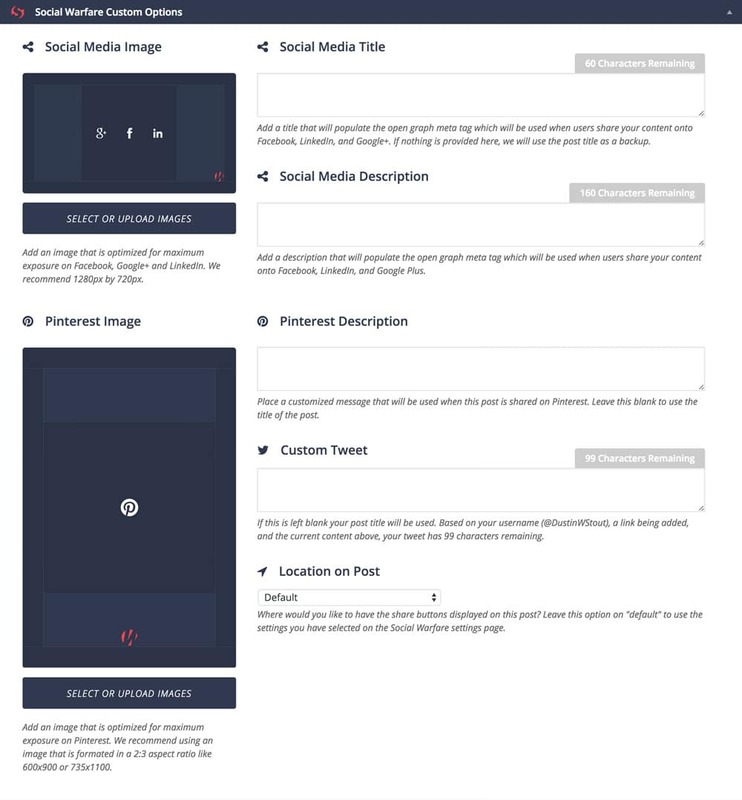 That template will help you create lots of different social media posts to promote your article over the course of 30-days using one of the social media management tools of your choice. Are you promoting your blog post in other niche outlets, such as Tailwind? There are other ways to leverage your online community to get your content noticed. One such example is one I use regularly– Tailwind Tribes. Tailwind is a social media app that lets you schedule Pinterest Pins and Instagram Posts. 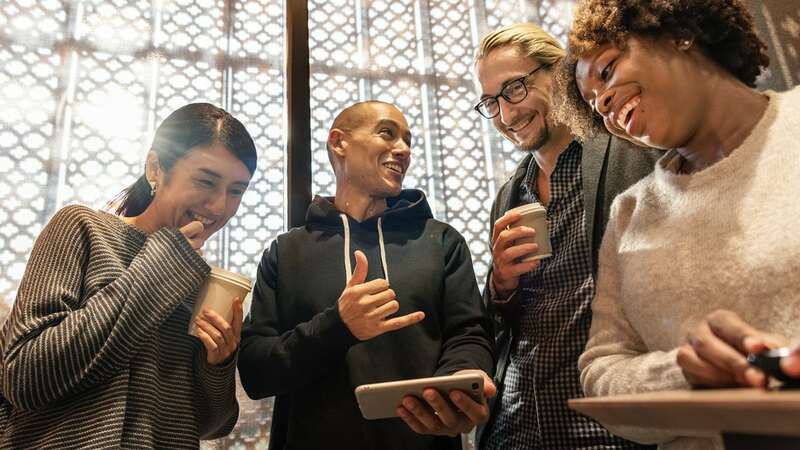 But they’ve also created a feature they call Tribes which allows you to join groups of other users with similar interests who want to help each-other share great content. Let’s say you are in the digital marketing industry. You can find numerous Tribes to join and share your article to, and the idea is that all the other members will share your article to their Pinterest accounts. It lets your blog post reach highly-targeted audiences which are most likely to share your post if they see value in it. I have been using Tailwind Tribes for a while now, and so far it has given me great results in terms of content promotion! Of course you do, you’re a smarty. If you check off every item on this list, you will undoubtedly have an epic blog post you can be proud of. As an added bonus, I’ve created a printable version of this checklist to help you remember every time you’re about to publish a new post. Just add your email below to join our Insiders List, and I’ll send you the download link right away! You’ll also get my best social media news, insights, and projects I’m working on sent regularly. You can unsubscribe any time. Once you confirm that you are a real person the download link will be sent straight to your inbox! As long as you remember the things on this checklist and discipline yourself into doing this constantly, then you can create an epic blog post every single time. Hi, Andrea! Well, the truth is that it really depends on your audience and your goals. There’s no one answer for everyone. However, if you want Google to send you lots of traffic, shorter posts are going to hurt you. You’ll have to rely heavily on social media/word-of-mouth, which can be great, but you can lose it as quickly as you gain it. Search traffic is much less short-term. Don’t get me wrong, I grew my blog in the beginning with posts that were 700-1,000 words and social media traffic. SEO was never something I thought about (because it was so intimidating) so I just did what I felt my audience needed. When the social media traffic eventually hit a plateau, I decided to give SEO a try (doing a massive content audit) and the results were 600% increase in blog traffic. And that wasn’t “here today, gone tomorrow” traffic… the growth has been sustained for well over a year. So that’s why every blog post I write must be epic, because I know the time I put in will be worth the resulting long-term search traffic. And as it turns out, longer articles actually perform better with social shares anyways, so it’s a win-win. It’s just a lot harder of a discipline than just posting short articles. Just wanted to say the Content Upgrade idea has been really beneficial for my job. I got this suggestion from you almost 3 years ago and we implemented it into our most popular blog posts to great results. Keep up the good work! I’m going to check out social warfare now. I feel better now, I’ve been a full-time blogger for more than 6 years now and (except for my first embarrassing posts) I have always written massive articles. For me, 1500 is a very short article. Recently I created a guide that was so long that my theme got stuck and I had to split the content into 3 separate articles (each one is more than 6000 words). Some people say it’s way too long but as you said, Google (and apparently the RIGHT readers) love it, and it’s clear because these are the articles that get an average of 100/300 comments as a minimum, very long comments with further questions! It’s true that people skim the content but if they are interested in what you are saying and you provide valuable info for them for free, they are going to read the whole thing (to me it’s a bit easier as being a travel blogger, images/maps & co are a big part of the article), but I try to help the reader as much as possible by using a lot of subheadings, bullet points, bold sentences and other tricks to make the content more readable. My biggest issue is consistency and time. It takes me forever to write these posts as I’ve learned English from scratch at age 30 and I’m a perfectionist, so I might publish a massive article per month or every 2-3 months if I’m lucky. Now it’s getting better, and I’m publishing more regularly but I’m still behind my schedule. Glad that at least the ones I publish usually go straight to page n.1 on Google and I monetize them so I have a steady income even if I’m not publishing much. Thanks for the checklist, very useful reminder when I’m stuck with one of those articles and I feel like giving up on it as it’s too much work! So awesome to hear this, Clelia! You’re an inspiration to be writing such epic content… 18,000 words for one article before you broke it up into three?! That’s insane! And also super cool. Sounds like you need to be working on authoring a book. Have you ever considered that? Thanks Dustin… oh the book! Yes I obviously thought about it a lot. Both an ebook and also a printed one as I was approached by a publishing house but I seriously don’t have the time right now. I was thinking that maybe I could offer a PDF version of the massive posts (including the affiliate links that have no cookies) … do you think it’s a good idea? Absolutely! Many bloggers have used a series of blog posts to create a book… I think Darren Rowse of Problogger was the first person I heard do that, and it was hugely successful. You have so much wonderful information and has really motivated me to pursue my long waited goal of starting a blog. I feel a little unsure still, so any additional tips on getting started and what to write (I know what I want to make my blog about, just unsure what to say to keep interest really) would be really appreciated! Thanks for leaving a comment, Naman! If you’re just starting out, I wouldn’t recommend starting with this checklist. In the beginning of your blogging journey, you need to build a writing habit first. Don’t worry about making it perfect, just start writing about what you’re passionate about. Aim to publish one blog post per week for 6 months and see where you’re at then. It’s only once you’ve built up your blogging muscles for consistently publishing that you should start working on more advanced tactics and strategies. This is great!! I am now feeling inspired. Amazingly detailed post. Lots of things I need to work on. Thank you ? Now i feel like I’ve been leaving a lot on the table which are unsettled. Well, thanks a lot for listing out all those things anyways. But what if i don’t want content upgrade and don’t want to be using many social media accounts? Hope i can still gain traffic as i want? Then it looks like you’ll have to rely pretty heavily on SEO. Start learning everything you can–Brian Dean (backlinko.com) is a good place to start. Super helpful! Thanks Dustin. We need to up our blogging game. Thanks, Alli! Great to hear from you. 2000 words. Really? I can’t argue with that because you have proved your point with reliable data. However, I think we don’t have to play by the Google’s rules all the time right? Thank you very much for sharing this great and epic content as always. Really love to read your blogs. The truth is, you don’t have to play by the Google rules at all. But if you want Google to send you free traffic, you need to produce content that they deem worthy. And as the data shows, content they deem to be worthy tends to be over 2,000 words. 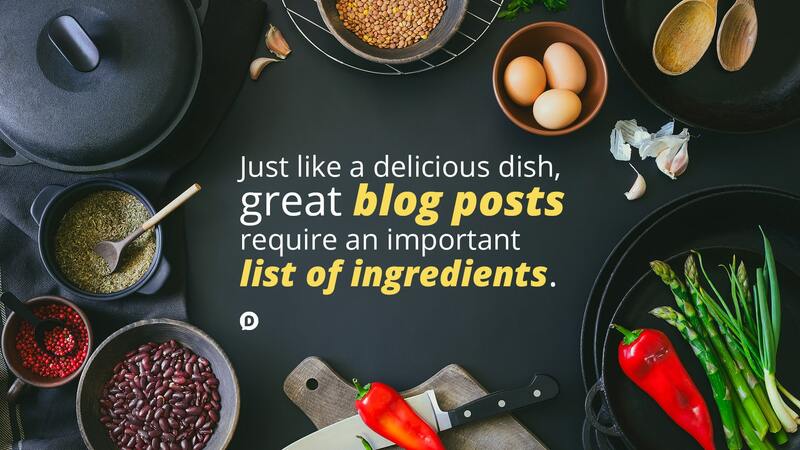 Indeed, a great blog post needs the right ingredients to be truly remarkable. I believe blogging is one of the most powerful tools in numerous search engine optimization for its boost Ecommerce site. It gives an essential element to every site’s online visibility and company’s growth. Great Checklist, keep posting. I’ve been following you around the web, by accident, stumbling upon you, for a few years and remember your name and your face. So. Well done you are making the consistent digital presence work. I love this, it is just what I need and will be working on it! Cheers Dustin.